That’s it almost my tree collage is ready. 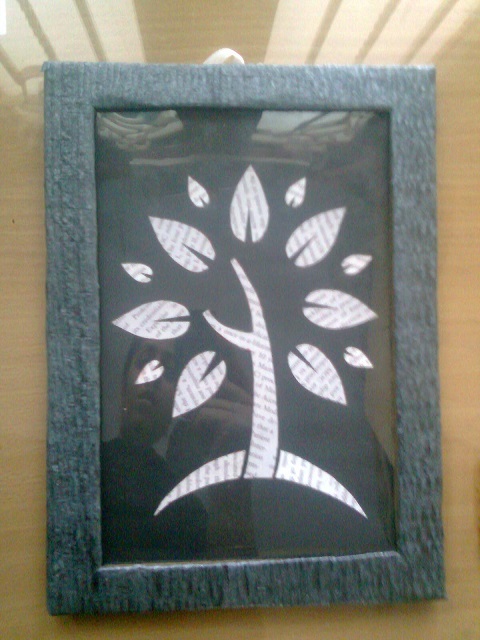 Then I made a handmade frame for it with handmade paper cardboard and OHP sheet. It turned out to be a really stylish Collage.